Have you guys seen these super cute glosses yet from Rimmel London? I am totally crushing over these super silky hydrating glosses! Lately, I am all about a low-maintenence lip. I am a busy Mom on-the-go and I do end up giving a lot of kisses during the day to my toddler and preschooler. So, I am not on a big lipstick kick lately. I need a low-maintence and low-fuss lip. Lip Balm is often my go-to. However, I do crave giving my lips a bit of color and shine, too. So, if I am not reaching for a lip balm or a tinted lip balm, I like reaching for a hydrating lip gloss. What can I say? I just feel a bit cuter with a lipgloss on, lol! 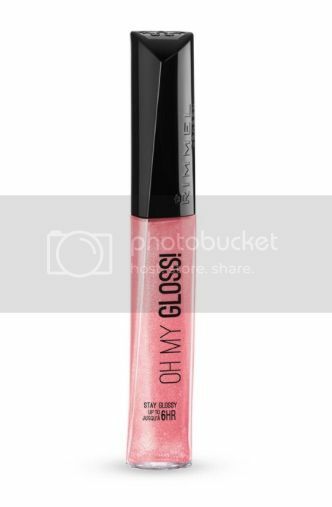 These new OH MY GLOSS! lip glosses from Rimmel are my new go-to. 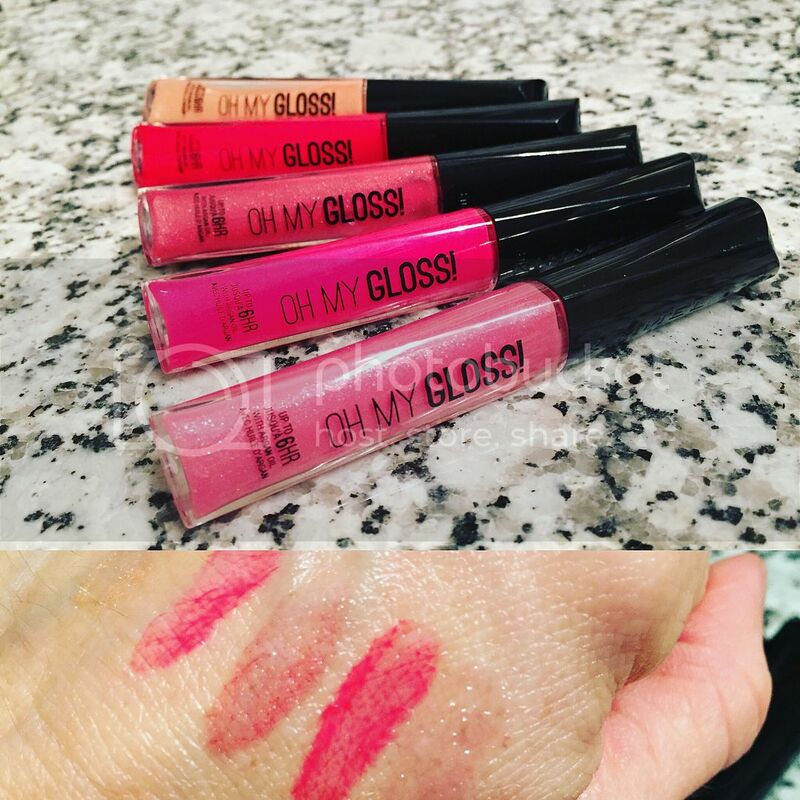 I love the hydrating feel as well as the soft, shimmery, and sheer color that these glosses give my lips. These are ever-so-slightly sticky, but not overly so (not to the point of being annoying, just enough tack to allow the gloss to adehere and last awhile). So, there is a nice balance between the texture and staying power of these. Rimmel boasts that these glosses give you hours of color, shine, and comfort. So, they certainly do give you long wear and lasting color (however, I do not get a full 6 as I just snack too much for my lip products to last that long, lol). There is a very slight vanilla-isa scent that I like (but not sure if this is an actual added scent or just the way the gloss smells naturally). It is no surprise to me that these glosses are hydrating once I read the ingredients. These glosses contain the some super hydrating lip-loving ingredients like Argan Oil (one of my hands-down favorite oils!) and Vitamin E.
OH MY GLOSS! lip glosses come in 12 shades. I was able to try 5 shades (see photos and swatches above): Captivate Me, Stay My Rose, Ooh La La, Pin Up, and Non Stop Glamour. If I had to pick a favorite of these, it would have to be Captivate Me. It is the perfect MLBB pretty everyday gloss! Overall, these glossses are super shiny and beautiful. They give lovely sheer color, are long lasting, and have a nice hydrating effect. I am totally digging these! Be sure to scoop some up next time you are drugstore browsing or doing your usual Target run! ;) Is anyone else like me and in Target every single week without fail? lol! I've seen these in the stores but haven't picked any up yet. Honestly I thought they might be kind of cheap due to the fact that they look a bit like those cheap glosses you see in the Walmart holiday sets! I'll check them out now for sure though.